You can make great tasting gluten free shortbread cookies with just a few ingredients. Get your ovens turned on and let’s start! Make the filling ingredients first. Place the apricots, brown sugar, water and gluten free flour in a medium non-stick saucepan and cook bring to boil. Turn the heat to medium low and simmer for 8 to 10 minutes, stirring constantly, until it thickens. Set aside and let it cool down. the non-stick saucepan will help keep it from sticking and burning. Prepare the shortbread cookie mix using the butter, egg and water as directed on the package. Place in a bowl and cover with plastic wrap. Put in your refrigerator until the filling is cool enough to touch. When you are ready to make the cookies, preheat the oven to 350 degrees. Roll out the cookie dough on parchment paper, using 1/4 of the dough at a time. Cut into 2″ squares and place a 1/2 tsp. of the apricot filling on the square and fold two corners over the top to cover the apricots as seen in the photo. Or you can just pull up one corner and make it into a triangle. 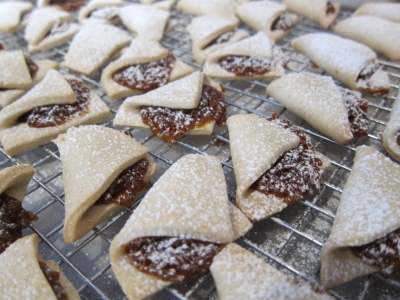 Transfer to a parchment lined baking sheet and bake for 13 to 15 minutes or until the cookie edges are lightly browned. Transfer to a wire rack to cool. Finish up with the rest of the dough. After the cookies cool, dust with powdered sugar and serve. Ps… Hide some if you want to snack on them later. Thanks so much for stopping by! If you would like more cookie recipes, please check out my cookbook below. By purchasing my cookbooks, it’s help me to keep this blog going. Thanks so much in advance. 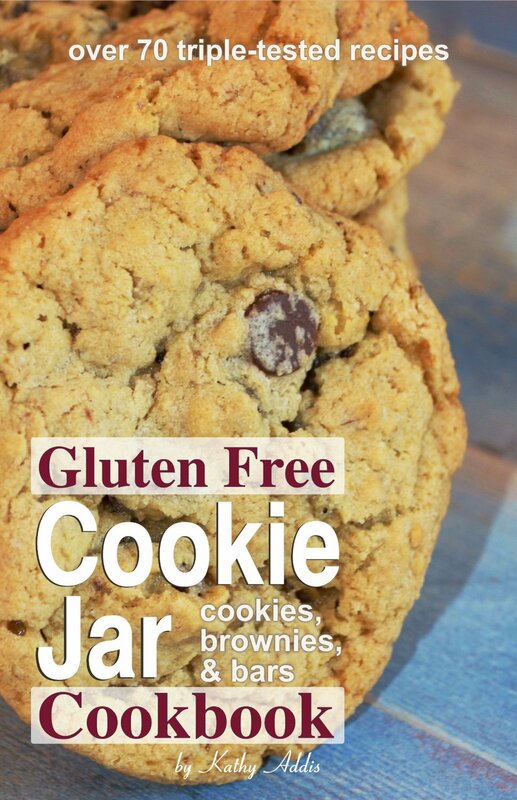 If you liked this recipe, you might want to get our cookbook: Gluten Free Cookie Jar. 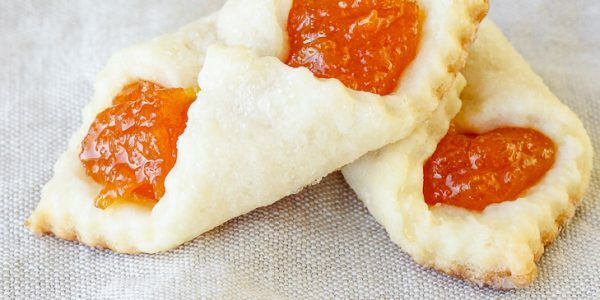 Filled with over 74 cookie recipes, all tested by us and handed out to others for critique. Thanks for your input. We will see what we can do for you.